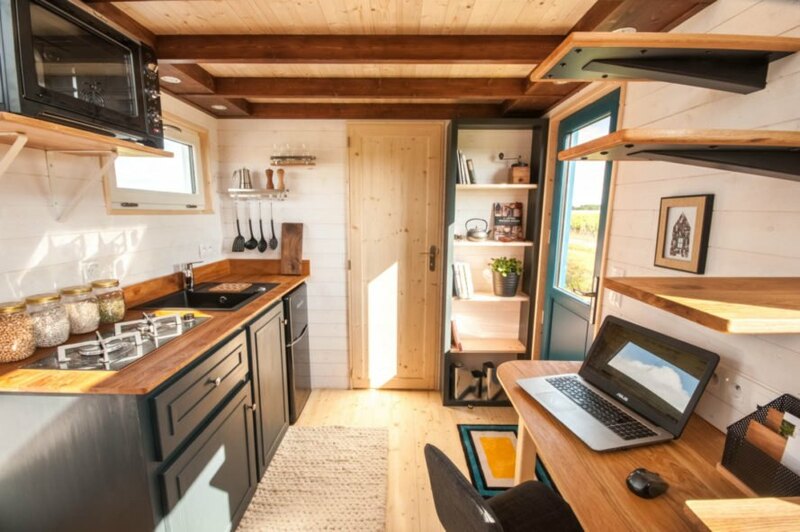 Tiny homes come in many shapes and sizes, but for a wandering family of three, the Valhalla tiny home is just the right fit. 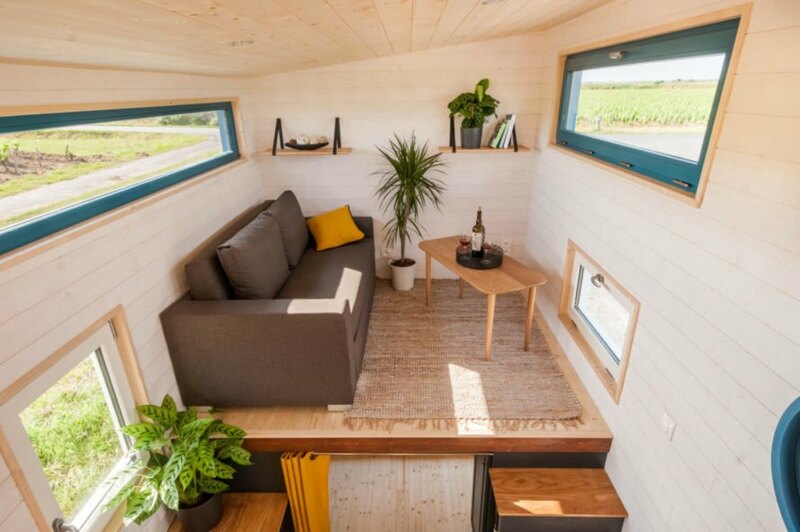 Built by French tiny home builder Baluchon, this wood-clad tiny home on wheels is a lightweight structure that measures just under 20 feet long; however, a stunning space-strategic interior, which includes two bedrooms, makes you forget all about its itsy-bitsy size. 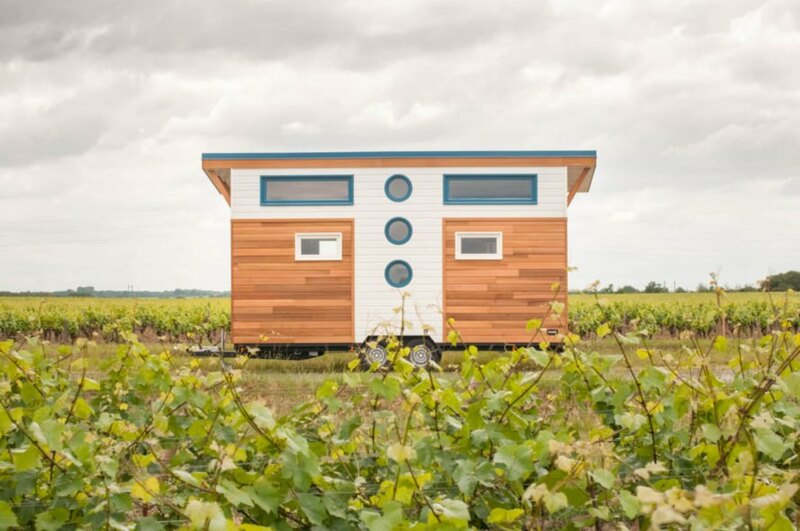 Clad in red cedar with white and teal accents, the Valhalla tiny home emits a modern cabin feel from the outside. Three porthole-style windows along with a series of clerestory windows on each side give the design a contemporary edge and brighten the interior naturally. To create an energy-efficient shell, the home is insulated with sustainable materials such as sheep’s wool for the floor, cotton, linen and hemp in the walls and wood fiber in the ceiling. The interior is clad in light spruce panels, which help to make the compact space feel larger. The front door opens to the fully-equipped kitchen area complete with custom cabinets, a fridge, a sink and a two-burner propane stove. On the adjacent wall, a narrow desk serves as a work or dining space. The master bedroom, which has enough space for a a double bed, is located on a sleeping loft reached by a set of floating stairs above the desk. On the other side of the home, another elevated platform houses the living room. Underneath the living area on the ground floor, a small room is located right next to the kitchen. Separated from the communal space by curtains, this compact area is well-lit and perfect for a child’s room, guest quarters or extra storage. Built by Baluchon, the Valhalla is home to a family of three. 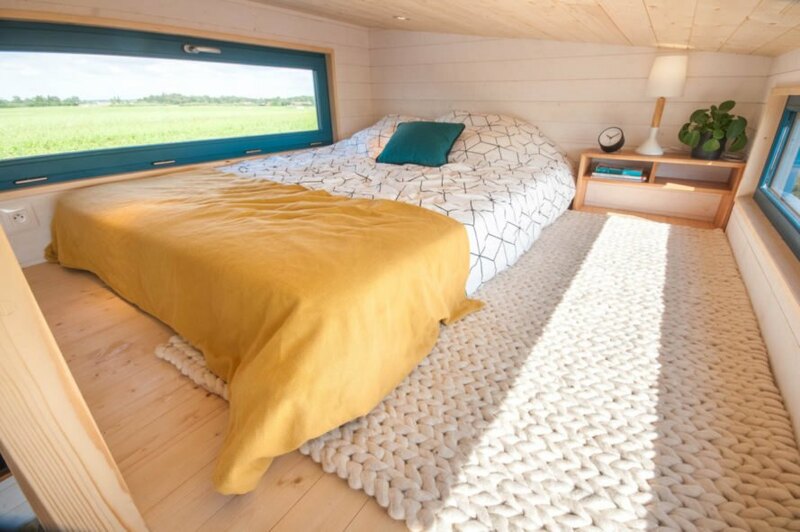 The tiny home is located on a custom trailer for easy transport. The living room is clad in spruce wood. A set of floating stairs can double as shelving. One of the lofts houses a cozy living room. The other loft is big enough for a double bed. 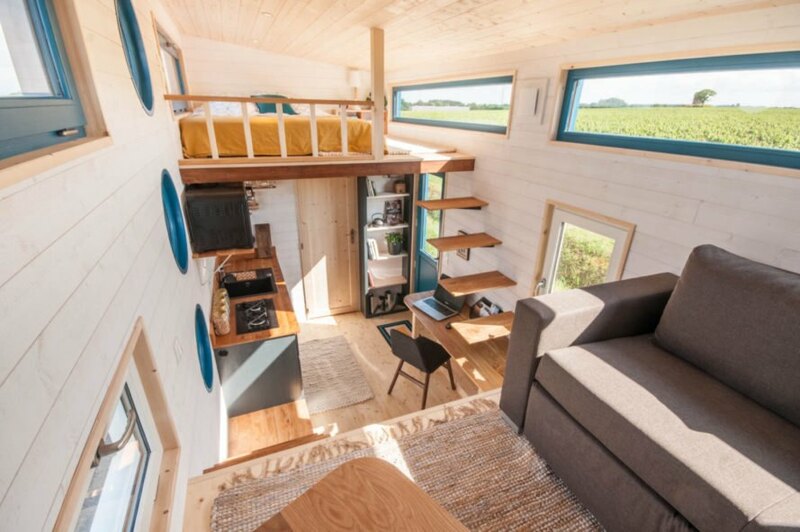 The tiny home has two potential sleeping areas, upstairs and on the first floor. The first floor sleeping room is separated from the main living space by curtains. The kitchen has a wooden butcher block countertop. The interior features a sleek, contemporary design. The small downstairs bedroom is still bright and airy thanks to light wood lining and a window. Both bedrooms have large windows. A large window in the front door also provides the interior with more natural light. A small bathroom has a shower and toilet. Despite its small size, the house is roomy and comfortable for the family. 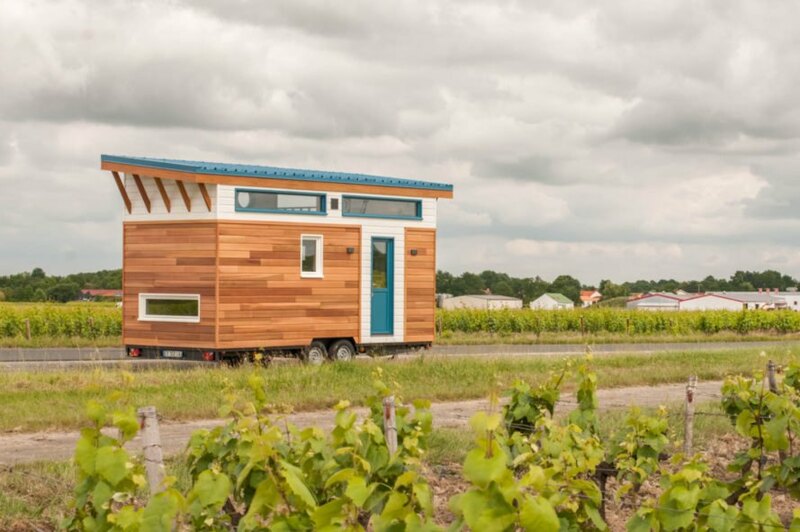 The tiny home on wheels is just 19.6 ft long.